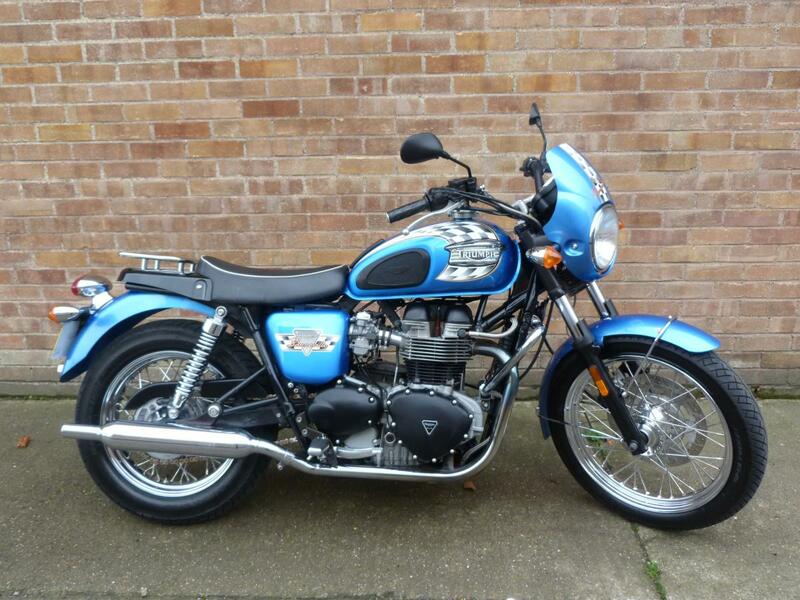 Here for sale is a 2005 05-Plate Triumph Bonneville 790cc with 28,424 miles on the clock. This stand out Bonne really looks and feels the part! It has a Full Service History with a stack of paperwork, invoices and Mot's dating back to when it was new. The bike is fitted with some very tasteful extras like the Triumph Off Road exhausts + standards, single seat conversion, rear seat hump with rack and the cafe racer style sports screen. Finished in a rare metalic paint.